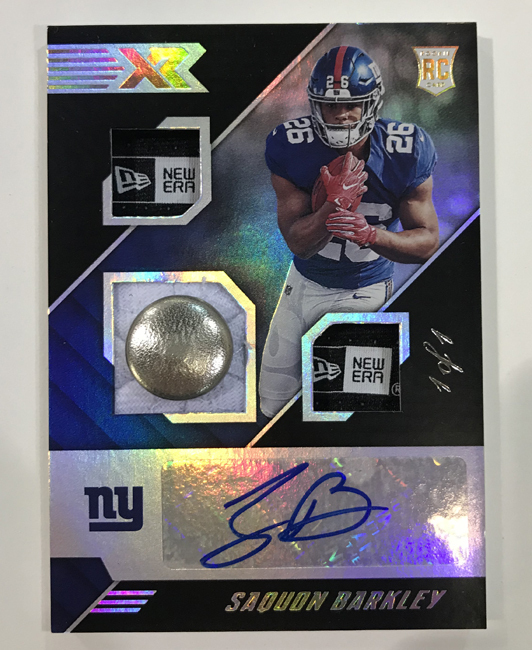 When Panini America debuted the XR Football brand for the 2017 NFL season, the name alone helped generate significant pre-release buzz for the product. 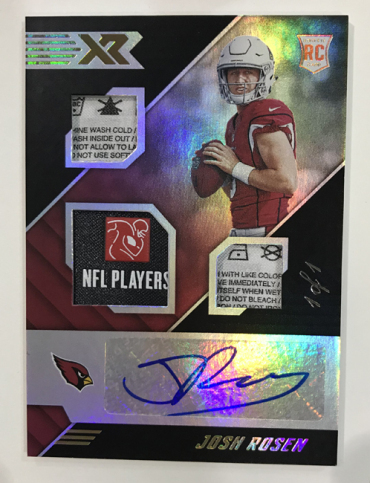 Of course, then 2017 XR Football finally released and the cards did all of the talking from there. When 2018 XR Football arrives at Sports Cards Plus, a.k.a. The Super Hit Factory on September 19th, you can bet its cards will have a lot to say as well. 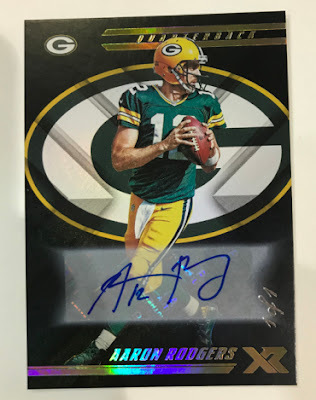 Each hobby box of 2018 XR Football (seven cards per pack, two packs per box, 15 boxes per case) will deliver two autographs (including one Rookie Jersey Autograph), one memorabilia card (either a Jumbo or Triple Swatch card), one insert, four parallels, four base cards and two Rookie Cards. 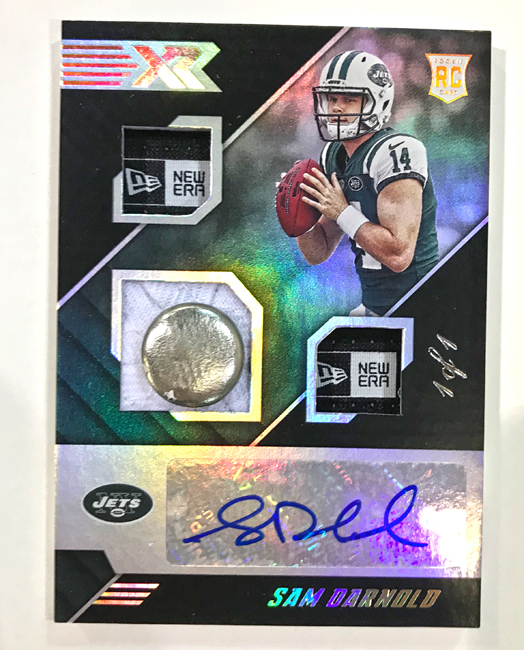 A product that delivered some of the most attractive single cards of the season in 2017 is poised to that once again. A large selection of 1/1s, patches, rookie autographs and a compelling mix of retired and veteran superstars as well. On average, 1/1 autographs will fall roughly once per case and could include Rookie Patch Autographs or Rookie Triple Swatch Autographs featuring the likes of Saquon Barkley, Sam Darnold, Baker Mayfield, Josh Allen and more. 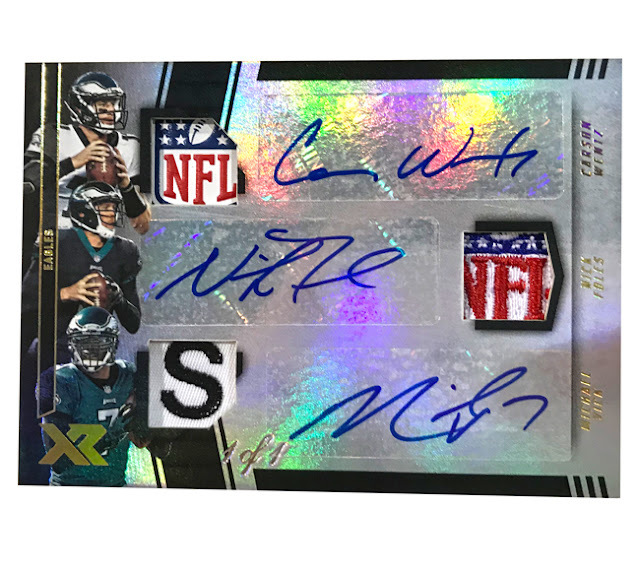 Find 1/1 NFL Shields from top superstars such as Carson Wentz, Jimmy Garoppolo and Von Miller. Luminous Endorsements will feature hard-signed acetate pieces and new progression photography. A 100-card base set featuring the top players in the NFL and a stunning new design. The base set is paralleled by Red (numbered to 299), Blue (numbered to 99), Orange (numbered to 75), Gold(numbered to 10), Green (numbered to five) and Black 1/1s. 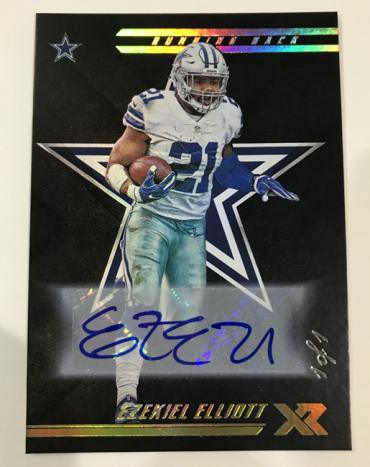 Rookie Autographs features a deeper checklist to cover more of the best rookies the NFL has to offer. 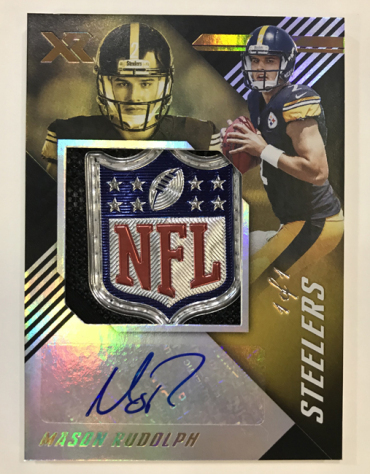 Rookie Autographs are numbered to 199 or less parallel to Gold (numbered to 49 or less) and Black 1/1. Look for Dual Autographs Swatches and Triple Autographs Swatches inserts featuring must-have player combinations.